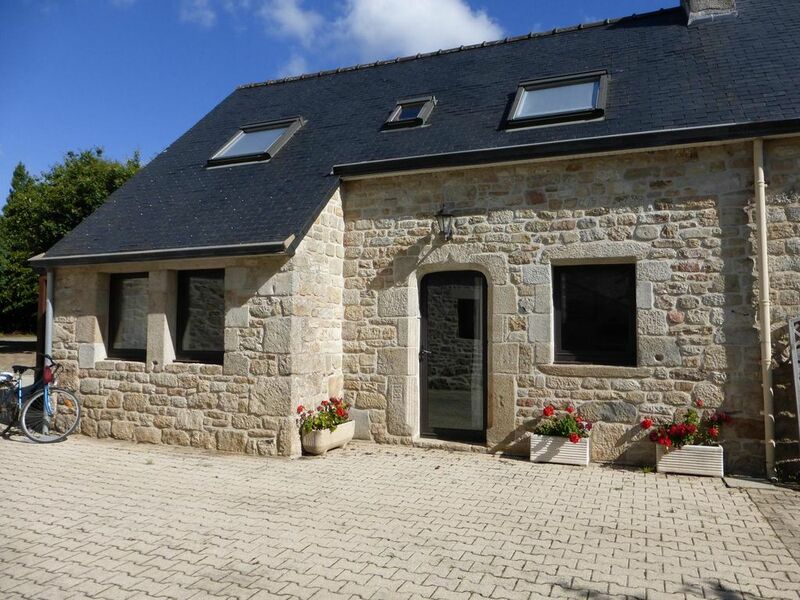 Between land and sea, we welcome you in our house in an old farmhouse typical Breton completely renovated. The house in clear, warm style has 2 bedrooms for 4 people. The frame is green and quiet and the children can play in any freedom. The beach, 600m, is also the starting of the discovery of the coast on both sides of the tip of Mousterlin where you can enjoy different landscapes offered by any tide throughout the day. We expected to have basic things like a kettle. We loved the quite location and the beautiful beach and it's surrounding countryside. The loan of bikes was very good and area ideal for biking and very flat. Communication with the owner was not easy, he advertised speaking English but did not. Pour les amoureux de la nature et de l'océan, cette location est idéale : la plage est à 5 mn à pied, mais aussi, le GR 34, les pistes cyclables, la forêt et un endroit magique : la mer blanche. Benodet, Quimper et Concarneau sont tout proches. La maison est particulièrement calme, confortable et très bien équipée. Le propriétaire est charmant : il nous a accueillis avec un gâteau breton et nous a gentiment prêté des bicyclettes. Wir (2 Erwachsene, 2 Kinder) hatten eine wunderschöne Woche in der Bretagne. Das Haus bietet alles, was man für einen gelungenen Urlaub braucht. Wir haben nichts vermisst. Es ist ruhig gelegen, mit viel grün und Garten drumherum. Wir wurden sehr nett von Monsieur Jacq empfangen. Zu einem schönen Strand gelangt man in ein paar Minuten zu Fuß. Das Meer eignet sich auch für Kinder sehr gut zum Baden. Die umliegenden Orte und Städte sind auch eine Reise wert und mit dem Auto ohne viel Fahrzeit zu erreichen. Unser Ziel: Da wollen wir wieder hin. We spent two weeks at this gite with our two children aged 10 and 8. The gite was very clean with comfortable beds and plenty of hot water. The kitchen was small but had everything we needed. We enjoyed being able to use the lovely garden. The gite is in a fantastic location for families, with lots of great cycling nearby and a beautiful beach at the end of the road. Mr Jacq was a very friendly and helpful host. We had a great time here and would definitely recommend this gite! Gite très agréable bien équipé et très propre , bien situé au calme a la fois en pleine campagne et a 5 minutes en vélo de la plage; Nous avons apprécié les vélos mis a disposition des hôtes . Très sympathique accueil du propriétaire :délicieux far breton et cidre a l'arrivée. Nous avons passé 2 semaines très agréables avec nos petits enfants.